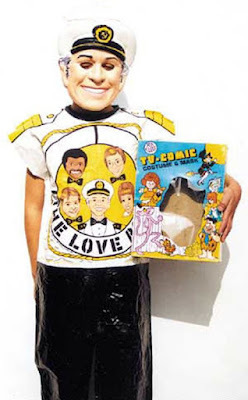 Do kids still dress like their favorite TV characters for Halloween? I know adults do. Certainly shows like Game of Thrones and Doctor Who have inspired memorable costume ideas. 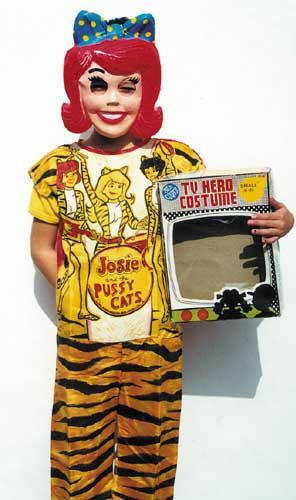 But back in my day (I love saying that), television-themed costumes were as prevalent as those for monsters and superheroes. 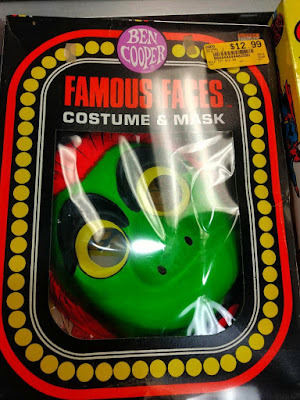 As a kid I’d look forward to that annual October trek to a store like K-Mart or Woolworth’s or Zayre or Turnstyle (if you were in the Midwest), where there would be an aisle near the front stocked with square, lightweight cardboard boxes, stacked high, each one containing a different identity you could assume for trick or treat. Collegeville or Ben Cooper. We didn’t pay much attention back then. 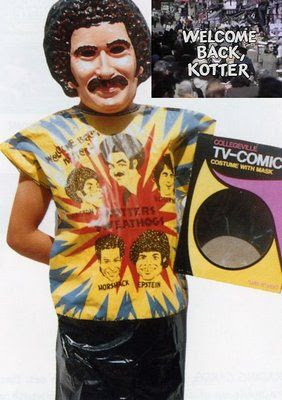 All we cared about was who we were going to be for Halloween. The contents of the boxes were always the same: a thin plastic mask with an elastic band to stretch around our heads. The eyeholes and nose holes were cut out so we could see and breathe. But if you wore glasses, you were already in trouble. Below the mask was a colorful smock. 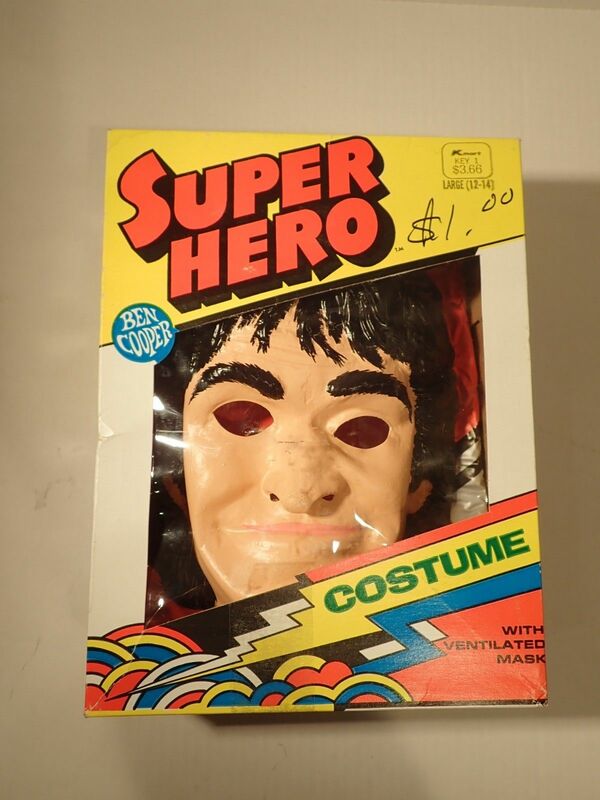 Slip it around your body, put on the mask, and you’re good to go. 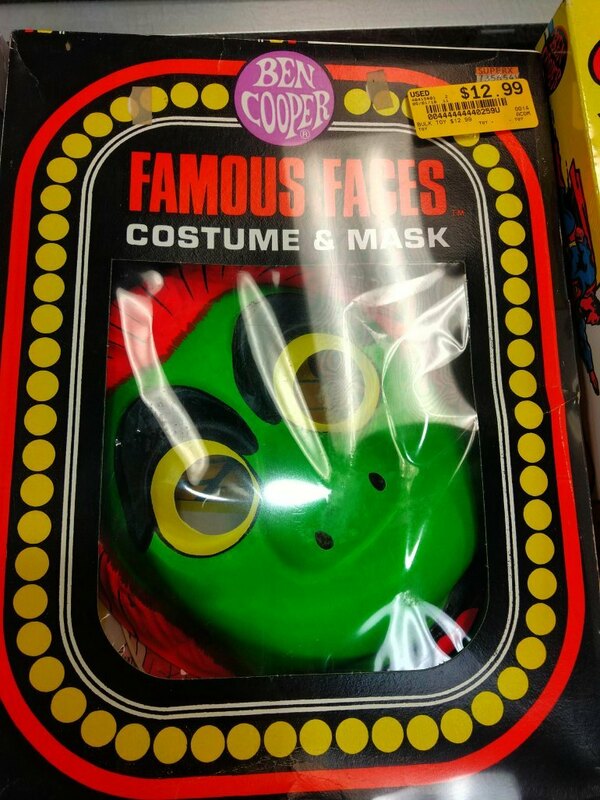 It’s a nice memory to have all these years later, and one that obscures the fact that the costumes themselves…were kind of lousy. Examples? 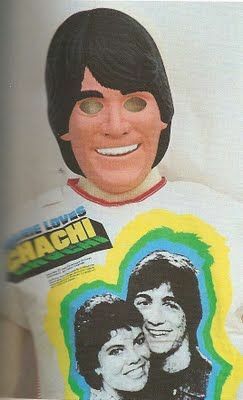 This is supposed to be Caine, the character played by David Carradine in Kung Fu. 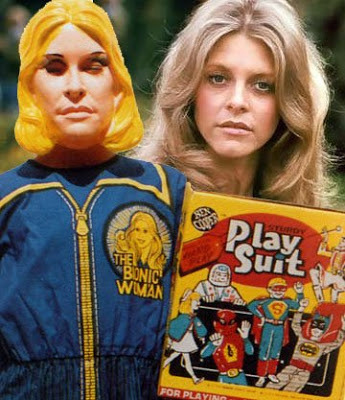 Here’s The Bionic Woman. Jaime Sommers looks like a sleepy Judy Norton-Taylor. And here’s Bo Duke from The Dukes of Hazzard. By now you may be asking, as I did, why Ben Cooper packed many of its TV character costumes in “Superhero” boxes. I don’t have the answer. 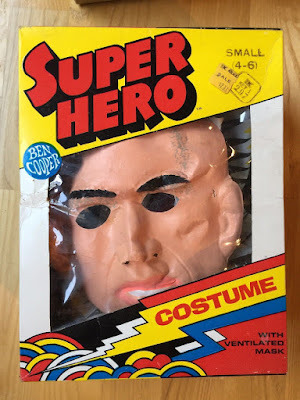 Sure, to young fans Bo Duke and The Fonz probably did seem heroic, but it still strikes me as lazy marketing. In retrospect we’d have been better off without them. 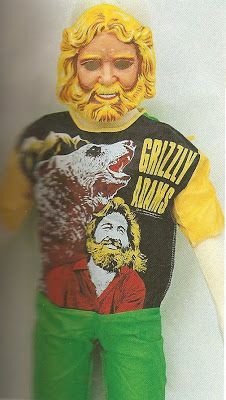 What looks more like Fonzie: putting on a white t-shirt, pair of jeans and a black leather jacket, or this? But at least the box reassured us that the costume was flame-retardant (or occasionally, unfortunately, “flame-retarded”). 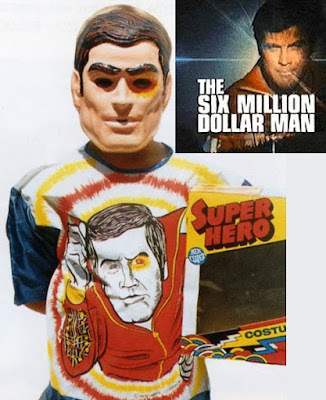 If the quality was substandard, the one place where these costumes surpassed expectations was in variety. Companies grabbed every license they could get, so if just one (slightly odd) child somewhere ever said, “This year for Halloween I want to be Captain Merrill Stubing from The Love Boat,” Ben Cooper had him covered. Were you a fan of Jennifer of the Jungle, as played by Judy Graubart on The Electric Company, or Gary Gnu from The Great Space Coaster? Then get ready to suit up. While I retain some vague memories of shopping for my costumes, I don’t remember throwing them away after Halloween, though that’s what all of us did. 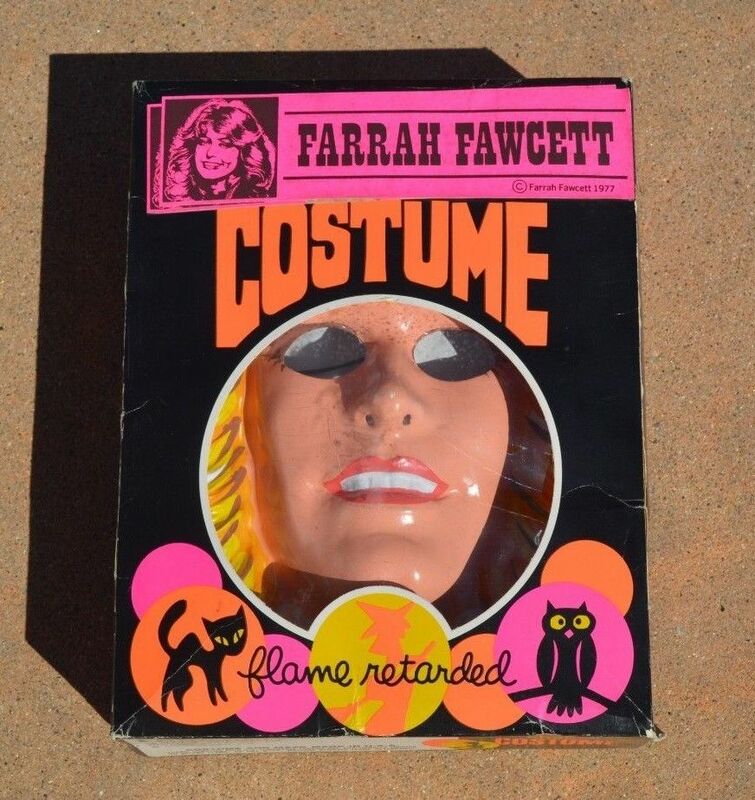 If you saved yours, you are now reaping the benefits: that “flame-retarded” Farrah Fawcett costume can fetch up to $150 on eBay. But at least you still have your Charlie’s Angels lunchbox, right? I know I had these cheapo costumes at least a couple of years. 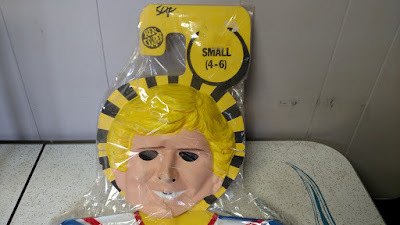 But for the life of me, I don't remember WHO I went as. Wish I could recall. But yeah, in retrospect, they were not great. But for nostalgia? They win big time.